The gorgeous 911 coupe will be launched in India on October 9, and as with every snazzy sports car, gets a healthy dose of impressive gizmos. A Porsche does necessarily need any sort of introduction. The iconic 911 range has always been one of the most easily identifiable cars in the world, and offers a huge variety of models across the globe. 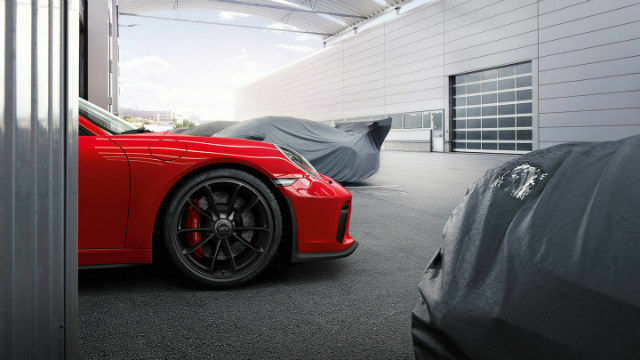 Now, the most performance-oriented variant - the Porsche 911 GT3, is being launched in India on October 9. The sports car offers a 500bhp engine and a whole lot of wizardry for the driving enthusiast. 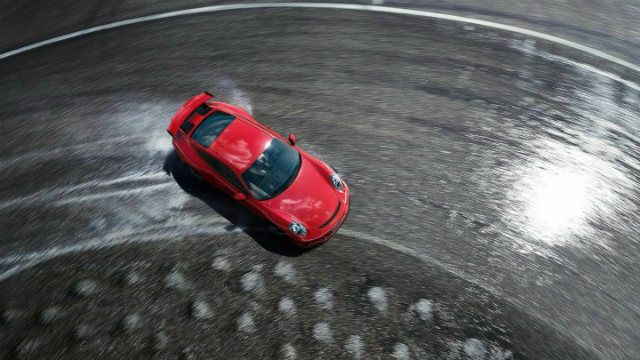 But, that's not all - the 911 GT3 comes with a host of technology inside. While we are not yet sure in terms of what technology will come to the India trim, we expect most of the features of the 911 GT3 to come to India. The Porsche 911 GT3 houses an enhanced Porsche Communication Management (PCM) unit for all infotainment purposes. The central display module is a high resolution Connect Plus system, with an integrated LTE module and SIM card reader. It also includes Wi-Fi hotspot, a smartphone compartment that connects the phone to the external aerial embedded in the car, and a host of connectivity interfaces including USB, to add connectivity services to the car. 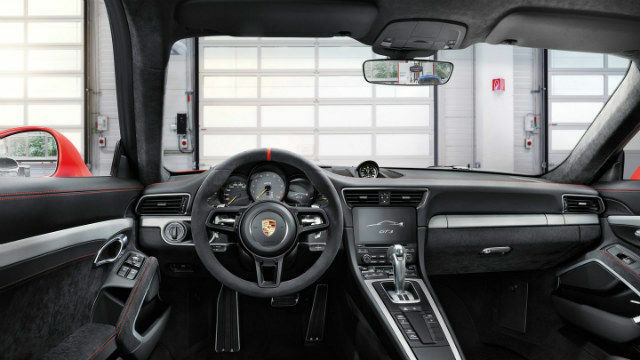 The Porsche Connect services include connected telematics and roadside services, along with weather, news, traffic and other services. The display also includes a proximity sensor to optimise the interface for seamless operation. Alongside the USB ports, you also get an aux port, two SD card slots and an internal hard drive, alongside the CD/DVD drive and Bluetooth, all aimed towards enhancing the entertainment services. 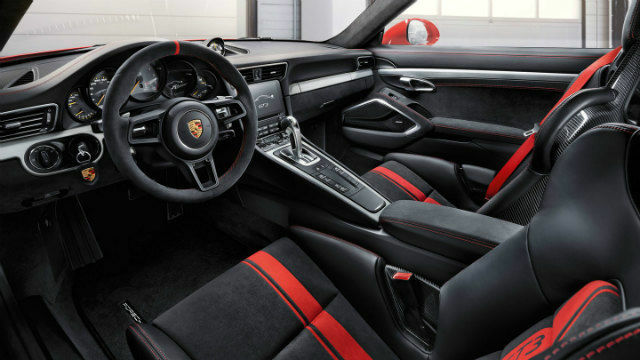 The Porsche 911 GT3 also includes handsfree telephony, and notifications for messages and emails that fuse mobile connectivity along with Porsche's in-car internet-enabled services. The integrated mapping system also includes live traffic updates by using the LTE services, although this is unlikely to come to India. The PCM is also compatible with a host of Porsche apps, which provide remote services such as adding destinations, tracking vehicle whereabouts, and even control a select array of functions from within the app. The Porsche Car Connect app is also compatible with Apple Watch, for all iOS users. 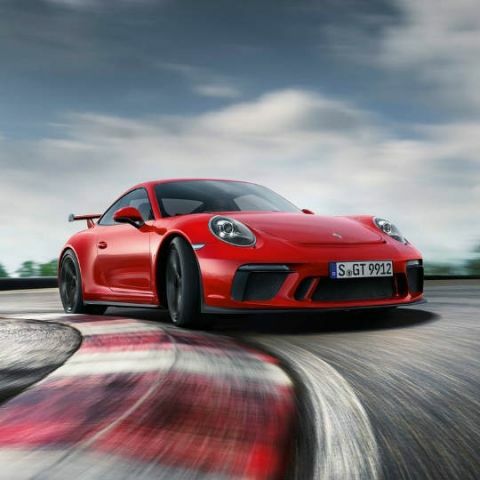 The Porsche 911 GT3 comes with two sound packages - the Sound Package Plus, with eight speakers and 150W total output and an amplifier, and the Bose Surround Sound System with 12 active loudspeaker and amplifier channels, a 100W subwoofer, and total audio output of 555W. Each of the loudspeakers in the Bose audio system can be custom tuned from the Connect Plus system to optimise the audio to the owner's preference. Available either as a mobile app or additional equipment under Porsche's Chrono and Tequipment packages, the Track Precision adds an enhanced performance display to the PCM. This shows driving dynamics, statistics, analyses and lap timings. A physical lap trigger is available in the optional packages, and the Track Precision system shows graphical and video assessments of driving style and suggests improvements to the driver. Additionally, the Chrono package offers further racing and performance timing features to the infotainment interface. Along with advanced, two-step front airbags, the POSIP system contains side impact protection elements in the doors and two side airbags, to mitigate severe accidents. 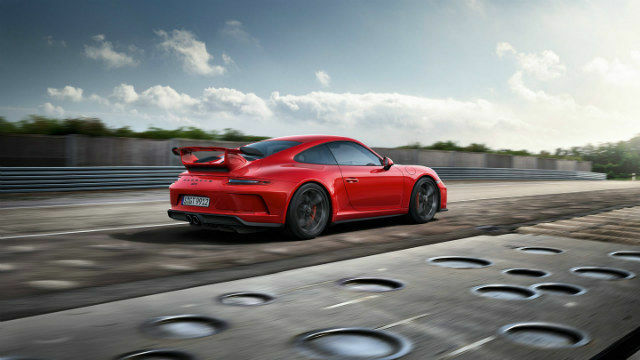 The Porsche 911 GT3 includes larger air dams in comparison to other 911s, up front, along with new side airblades to aid aerodynamics and air intake cooling. Drag coefficients are reduced further by the air opening to the front of the luggage compartment, and all of these air intake compartments are protected by titanium-finished grilles. Alongside, the car has a lightweight polyurethane chassis with carbon fibre inserts and hollow glass microspheres to add robustness. The front spoiler lip adds more downforce to the front axle in this unconventional engine mount, which is behind the rear axle. You also get bi-Xenon headlamps, with dynamic illumination range control and automatic cleaning system. Adding to all these is the main differentiator in terms of looks - the rear wing with carbon fibre mounts and the central air outlet. 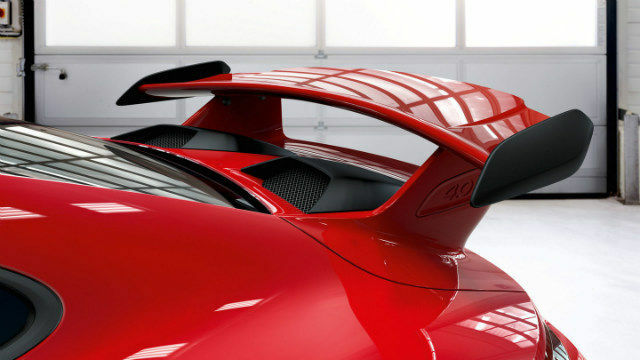 The 911 GT3 has even more aerodynamic optimisations, including bottom air fins, to get even more speed out of an already fast car. Powering all of this is the 4-litre, straight six engine that produces a staggering 500 brake horsepower, with the engine going all the way up to 9,000rpm and producing 460Nm of torque. The powertrain comes at a rated fuel economy of 7.87kmpl on international roads, and will certainly vary on Indian conditions. 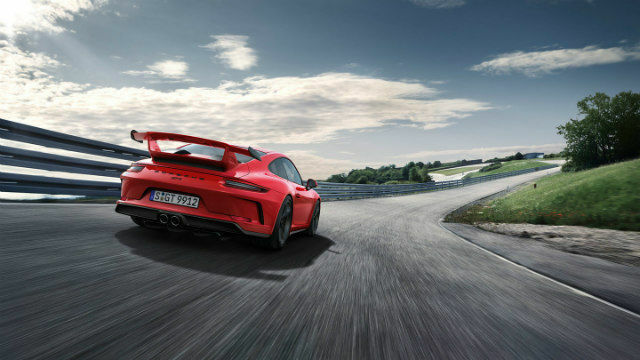 Porsche has equipped this engine with its VarioCam technology, which adjusts the engine load states with the present speed, to fine tune the engine timings, and increase engine power and torque delivery. All of this is handled by the electronic engine management. The 7-speed PDK transmission system now has shorter gear ratios, controlled by the integrated Intelligent Shift Program (ISP). International markets also have a 6-speed GT Sport manual transmission, but looking at Indian buyer trends, that is unlikely to come to India. The Porsche 911 GT3 is launching in India on October 9, 2017, and is expected to be priced at around Rs. 2.25 crore. It will directly rival the Mercedes-AMG GT-R, when launched in India. Watch this space for more!